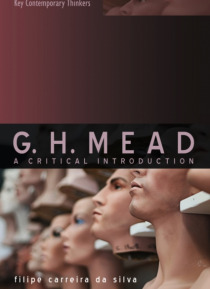 G. H. Mead is rightly considered to be one of sociology's founding fathers, yet to date there have been surprisingly few books devoted to his life and work. This book fills the gap by introducing Mead's ideas to a younger generation of social scientists. Beginning with a biographical account of the main events in Mead's career, Filipe Carreira da Silva provides a thorough examination of Mead's so… cial theory of the self, the reception of his ideas into sociology, and the relevance of his work to the contemporary social sciences. He focuses in detail on the core ideas associated with Mead's work, including gesture and the significant symbol, the I-me distinction and the 'generalized other', as well as exploring less well-known aspects of his writing. This comprehensive introduction to Mead's thinking will appeal to students across the social sciences, providing a refreshing perspective on the social nature of the individual self.